Hector was a great tour guide. He is smart, informed and sharing with his knowledge. His tour of San Angel and Coyocan was perfect for my wife and I. He also realized when we were getting a bit tired and hailed a taxi for us. I'll look to book Hector for other tours next trip. Hector was our tour guide for 3 days. We thoroughly enjoyed out time in Mexico City due primarily to Hector's teaching us about Mexican Art and culture. If Hector is your tour guide, he will make restaurant suggestions for you. Every place was great, not only food but also for a snapshot of Mexican culture. He will also mention what to eat, please do yourself a favor - follow his suggestions. Hector is a great guide, funny, informative and tells great local stories: the General who proposed marriage only to return 30 years later, promenading with your "nephew", and how gays "come out" of the last carriage of the metro. To get the full stories, book Hector! San Angel and Coyoacán are beautiful and the tour provides a glimps into the life of these two "villages" 50+ years ago, before swallowed up by Mexico City sprawl. Hector explains the architecture, you visit markets, and more! My sister joined my wife and me on this tour of some of the most beautiful areas in the San Angel and Coyoacán, a little like the South Pasadena area in Southern California, according to our guide, Hector. He guided us through homes featuring unusual architecture, along with a beautiful church and the unique marketplace, Bazaar del Sábado in the San Angel region. We got our money's worth when we took in the markets of Coyoacán and ended with a delicious meal at one of the restaurants by the zocalo. Bravo! TOUR GUIDE RESPONSE: Bruce. Thank you so much for your kind review. I am glad you enjoyed San Angel and Coyoacán so much. Erika was very charming and it was a pleasure to tour you. On our second day in this wonderful city we get to see two areas revolving around two great artists, Frida and Diego, the best day I had in Mexico City in the compan of our guide Hector - will look forward to being here again! We wrote at length about the profound experience we had with Hector in the 3 tours we took with him. He is extremely intelligent, flexible, caring and personable. He is responsible for the success of our vacation in Mexico City. We highly recommend him! TOUR GUIDE RESPONSE: Ofra. Coyoacan and San Angel took us to approach a different time in worlds´ history. Specially our visit to Trosky´s place. Davids´ memories about Poland and Russia during WWII made think about the dark times we have entering now and the stormy times ahead. A truly interesting walk, made it very pleasant by your wonderful sense of humour. Hector was a great communicator-both in making arrangements to meet up with us and in his knowledgeable and interesting tour. I had specifically requested a "Day of the Dead" tour. Hector customized our path to include some breathtaking architecture, poignant public altars and fantastic art. I recommend him as a tour guide with great enthusiasm. TOUR GUIDE RESPONSE: Sandi and Steve. Thank you so much for your review. I had a great day of the dead with you two. Thank you for sharing with me your Havanna experience and your enthusiasm on everything Mexican. Regards. Our group of 4 had a great experience with Hector. He is knowledgeable, engaging, and personable. Hector is a wonderful walking tour guide! He is so good at talking about the architecture, paintings, and history of Mexico City. We highly recommend him. He listens to what you are interested in, is very willing to make tour changes, and he's a really nice person! Hector, as in his previous tour, was quite wonderful. He is the SOURCE on the hidden "barrios" of Mexico City, all the while relating his talks on his own experiences and those of Mexican history. We highly recommend Hector. For Mexico City, we rate him the highest. He is also quite timely, which makes a world of a difference. Hector is a very knowledgeable tour guide, full of a wealth of information. I truely enjoyed his story telling and all the historical facts he provided. I would definetly take book another tour with him when I return to Mexico city. TOUR GUIDE RESPONSE: Ronald, Thank you very much, I truly enjoyed the 2 tours we had, please give my regards to your father and Ishah (I hope is correctly spelled). Best regards. 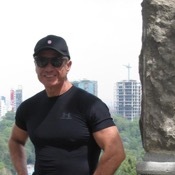 Hector is knowledgeable about Mexico City, its history, architecture, archaeology, you name it, he knows it. We learned so much from him about these neighborhoods. He also gave suggestions about restaurants to try here and near our hotel. If we had had more time, we would have signed up for other tours with him. Gracias Hector!! Hector was a superb guide. He amazed us with his breadth of knowledge across almost any subject, his consideration for our pace (walking tour), interests, courtesy, flexibility of timing and by no means least our safety. His English was flawless. I would not hesitate recommending him. El guía nos parecio muy bueno. Su conocimiento de la ruta y la historia era esplendido. En este aspecto el tour estuvo muy bien, pero creo que debería habernos avisado que el lunes estaban cerrados los museos para poder cambiar la fecha del tour. Hector is bright knowledgeable and energetic guide. We made two tours with him and we would go again if we return to Mexico City. We highly recommend him.